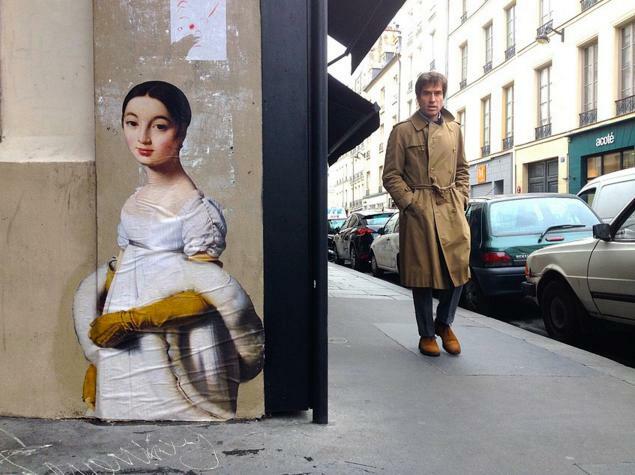 In an a spirit very like that of last week’s featured artist (figures from classic art “spliced” into the real world), Julien de Casabianca, a Corsican artist and film-maker, created Outings to set museum pieces free– to move art from gallery walls to the street. Take it to the streets at Outings. 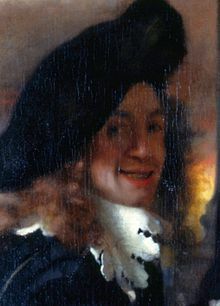 As we get up against the wall, we might spare a thought for Johannes, Jan or Johan Vermeer; he died on this date in 1675. A moderately successful Dutch provincial genre painter in his lifetime, Vermeer created relatively few paintings (34 are confidently attributed to him), mostly domestic interior scenes; his modest celebrity gave way to obscurity after his death. But he was “rediscovered” in the mid-19th century, and is now considered one of the masters of the Dutch Golden Age. 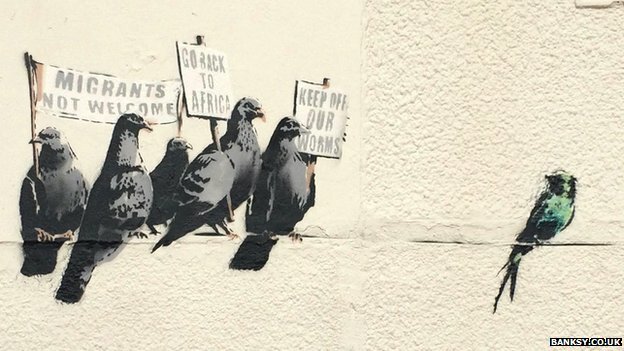 A new Banksy mural showing a group of pigeons holding anti-immigration banners has been destroyed following a complaint the work was “racist”. The mural in Clacton-on-Sea – where a by-election is due to take place following the local MP’s defection to UKIP [the UK Independence Party, an ostensibly anti-EU, actively anti-immigrant party] – appeared this week. It showed four pigeons holding signs including “Go Back to Africa”, while a more exotic-looking bird looked on. 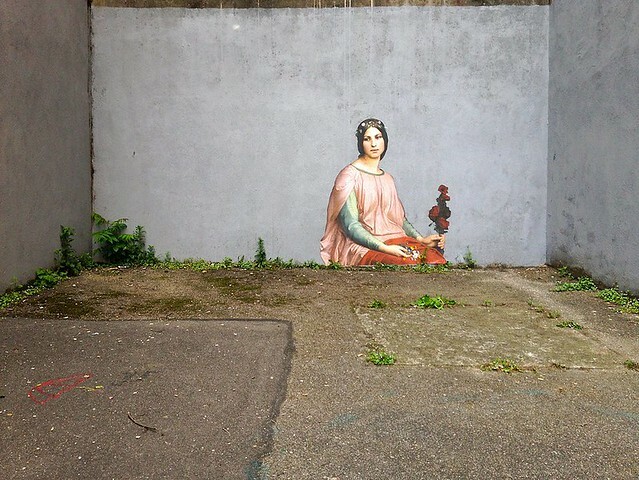 The local council, which removed it, said it did not know it was by Banksy. 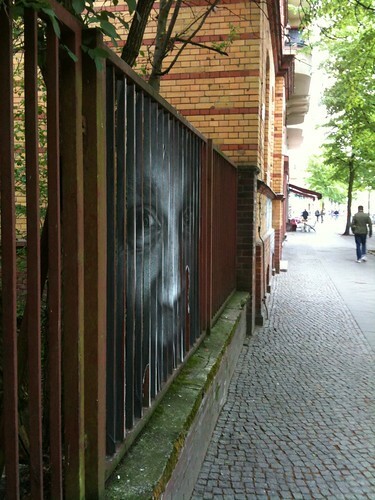 Tendring District Council said it received a complaint that the mural was “offensive” and “racist”. 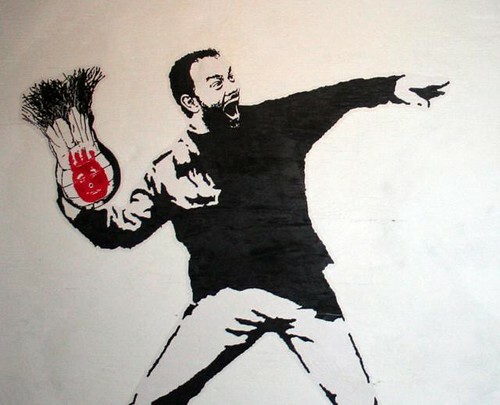 … which is an ironic shame, given that the piece was, of course, anti-racist, and that it was an authentic Banksy, whose street work has sold for as much as $1.8 million, a boost the economically-challenged town could surely have used. 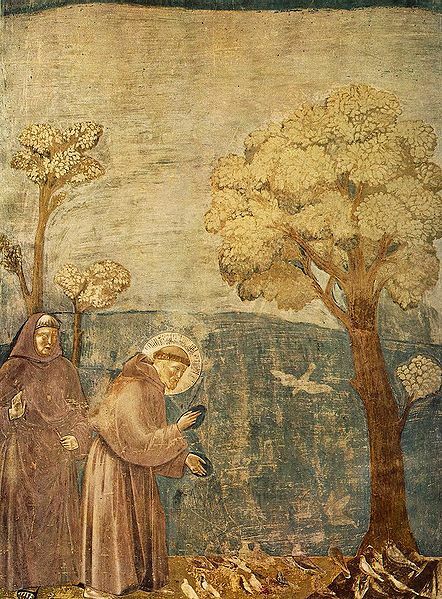 As we take aim at our own feet, we might spare a thought for Giovanni di Pietro di Bernardone– better known by his canonized handle, St. Francis of Assisi; he died on this date in 1226. Founder of the men’s Order of Friars Minor (core of the Franciscan Order), the women’s Order of St. Clare, and the Third Order of Saint Francis for men and women not able to live the lives of itinerant preachers, he believed that nature itself was the mirror of God, and strove to bring the Gospel to all God’s creatures. 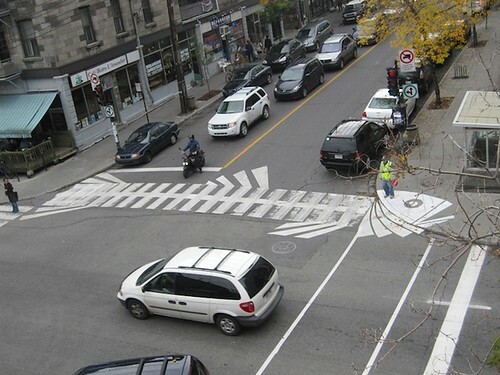 Montreal-based Peter Gibson started painting on the streets as a form of activism (for more bike paths); he remains engaged, but his commitment to the pavement has become more embracing. He’s changed his name to “Roadsworth” (“where Wordsworth is a poet of words, Roadsworth is a poet of roads”), and redoubled his allegiance to asphalt. As my personal artistic process evolved, political concerns were eclipsed by artistic ones and I often felt more inspired by the process than I did by the message I was trying to convey. Marshall Mcluhan’s famous quote ‘the medium is the message’ is significant in this regard. 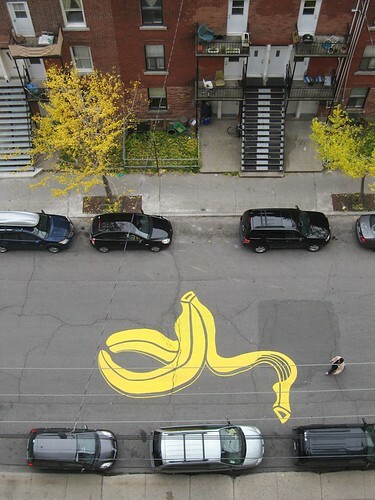 The ubiquitousness of the asphalt road and the utilitarian sterility of the ‘language’ of road markings provided fertile ground for a form of subversion that I found irresistible. 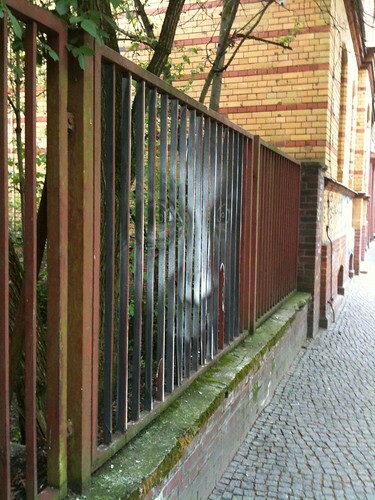 I was provoked by a desire to jolt the driver from his impassive and linear gaze and give the more slow-moving pedestrian pause for reflection. The humourlessness of the language of the road not to mention what I consider an absurd reverence for the road and ‘car culture’ in general made for an easy form of satire. 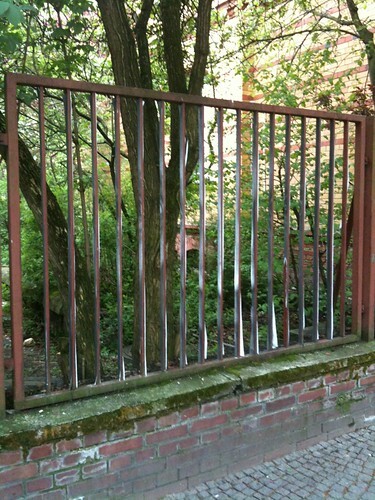 See more of Roadsworth’s work at My Modern Met, and on Gibson’s own site. As we look both ways, we might send elegantly-composed birthday greetings to Mary Cassatt; she was born on this date in 1844. 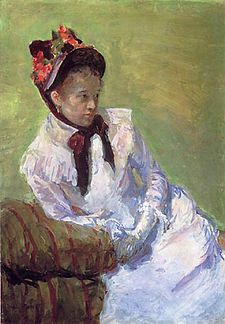 An American printmaker and painter, she moved to Paris as an adult, where she developed a friendship with Edgar Degas and became, as Gustave Geffroy wrote in 1894, one of “les trois grandes dames” of Impressionism (with Marie Bracquemond and Berthe Morisot). 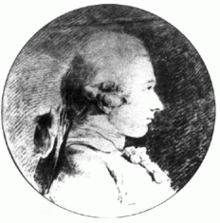 As we strip our stencils, we might send bawdy birthday greetings to Donatien Alphonse François, Marquis de Sade; he was born on this date in 1740. The French aristocrat, revolutionary politician, philosopher, author, and libertine spent much of his adult life in prison. In 1778, de Sade was imprisoned by order of the king; ostensibly his offense was licentious behavior, but historians note that his mother-in-law, at whose urging the king acted, believed that the young Marquis was spending her daughter’s money too quickly. (There were also accusations of an affair with his wife’s sister… and it may have further motivated the mother-in-law that her daughter was rumored to be complicit in de Sade’s sexual escapades.) While in the Bastille, he battled boredom by writing– among other things, The 120 Days of Sodom. He was freed from prison in 1790, and ingratiated himself with the new Republic (calling himself “Citizen Sade”). de Sade began writing again, anonymously publishing works including Justine and Juliette… until, in 1801, Napoleon ordered his arrest (again for indecency and blasphemy). 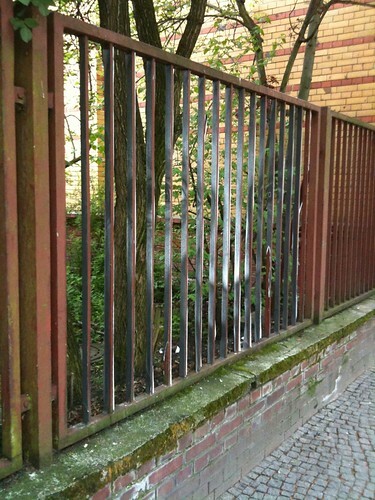 de Sade spent two years in prison, until his family had him declared insane, and moved him to the asylum at Charenton (the scene of Peter Weiss’s remarkable play Marat/Sade), where he died in 1814. As we look both ways before crossing, we might recall that it was on this date in 1184 BCE, according to the calculations of Eratosthenes, that Troy was sacked and burned. 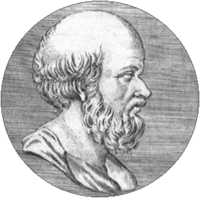 Eratosthenes of Cyrene was a Third Century Greek mathematician, elegiac poet, athlete, geographer, astronomer, and music theorist. He was the first person to use the word “geography” and invented the discipline of geography as we understand it, and invented a system of latitude and longitude, calculated (with remarkable accuracy) the circumference and tilt of the earth, and created a map of the world; he reputedly also accurately calculated the distance from the earth to the sun and invented the leap day. And to the point of the anniversary celebrated today, Eratosthenes was the founder of scientific chronology; he worked especially hard to fix the dates of the chief literary and political events of the conquest of Troy.